Tianjian start to be produced in Qing dynasty by business man from Shaanxi prov. Tianjian, using 1st grade dark tea to compress, has a unique pine smoke incense. 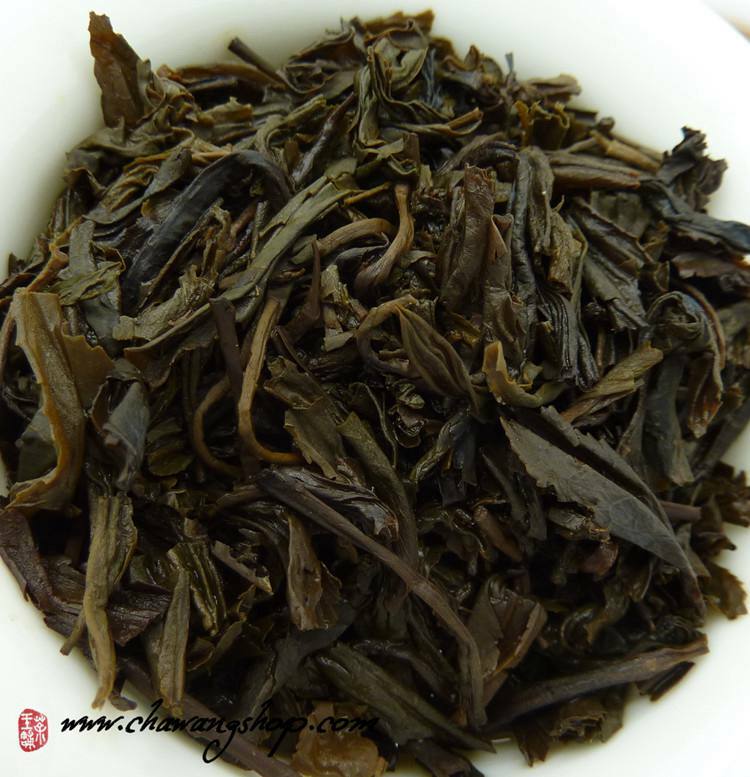 The loose dark tea leaf has seven kinds: “Yajian, Baimaojian, Tianjian, Gongjian, Xiangjian, Shengjian, Kunjian”. 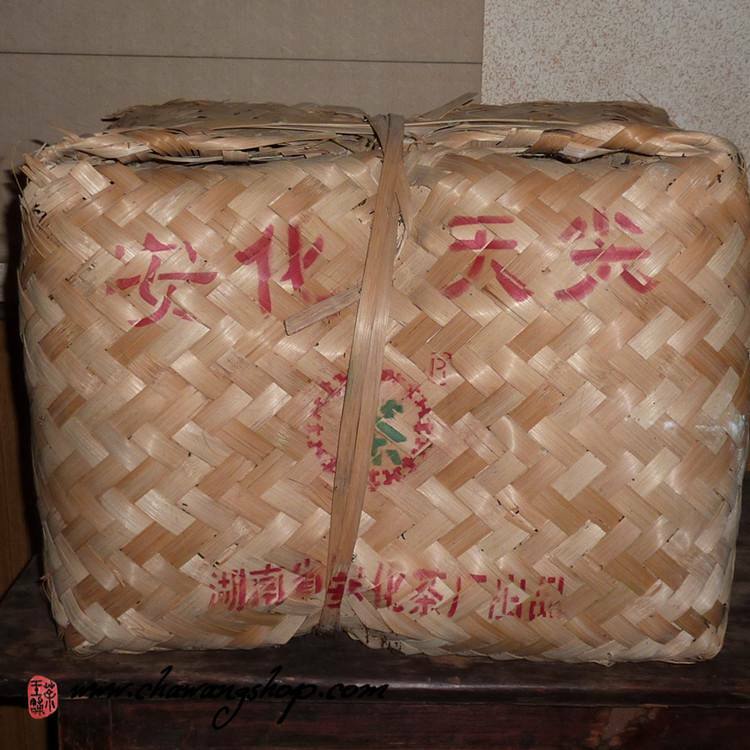 Yajian, Baimaojian were packed in 500g basket and only used as gift from tea sellers. 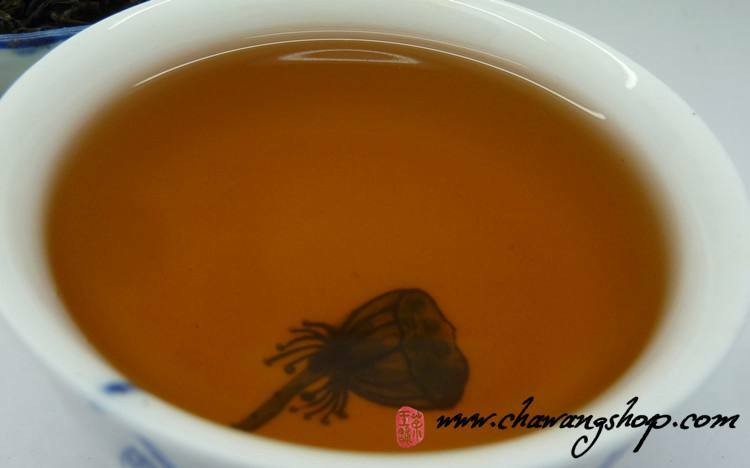 Use only high quality spring materials - one bud and one leaf.Xiangjian, Kunjian were made from old leaves. The process was very labor intensive but the tea could not be worth much at market. So both of them were no longer manufactured. 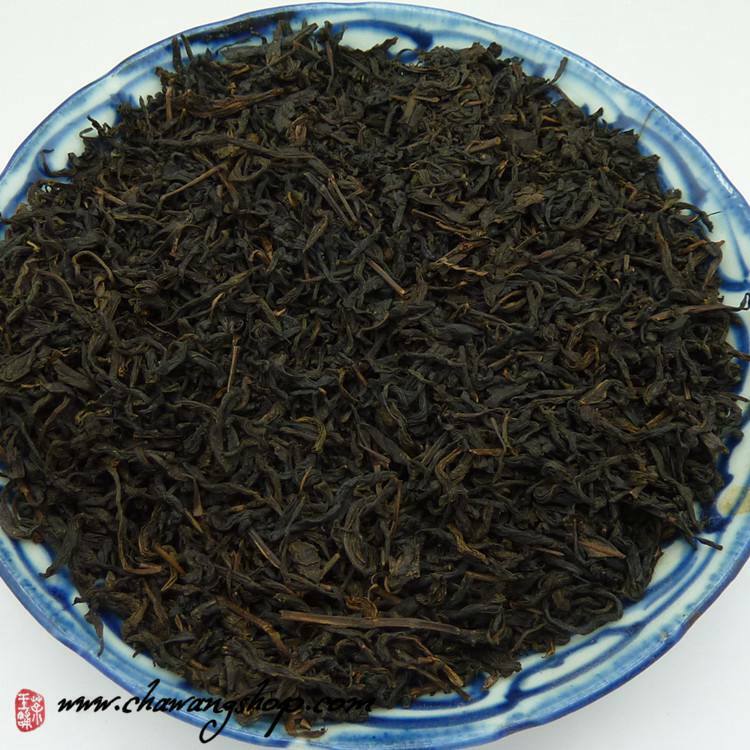 At present the Hunan loose Heicha on market basically has the following kinds: Tianjian, Gongjian, Shengjian and also relatively rare Yajian. Deep orange color, sweet, mellow and little spicy taste, with great fragrance.Tianjian is one of best teas for long term storage. Weight : 100g (original packing weight : 25kg).